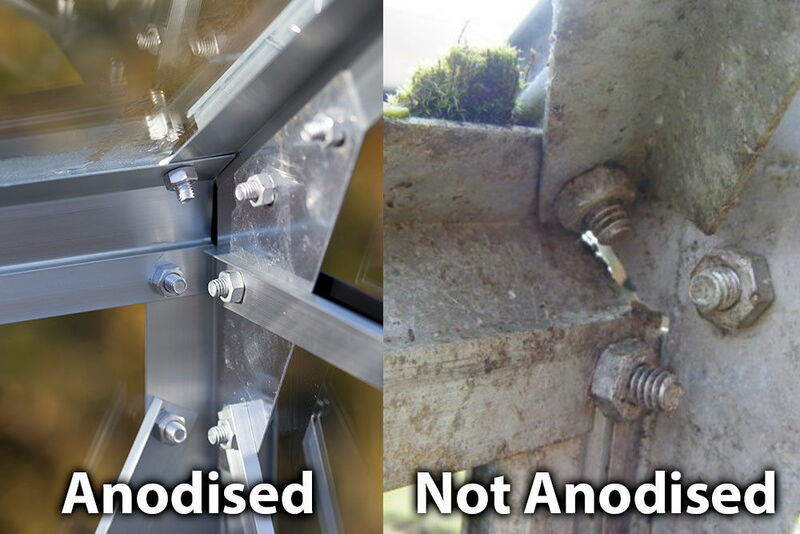 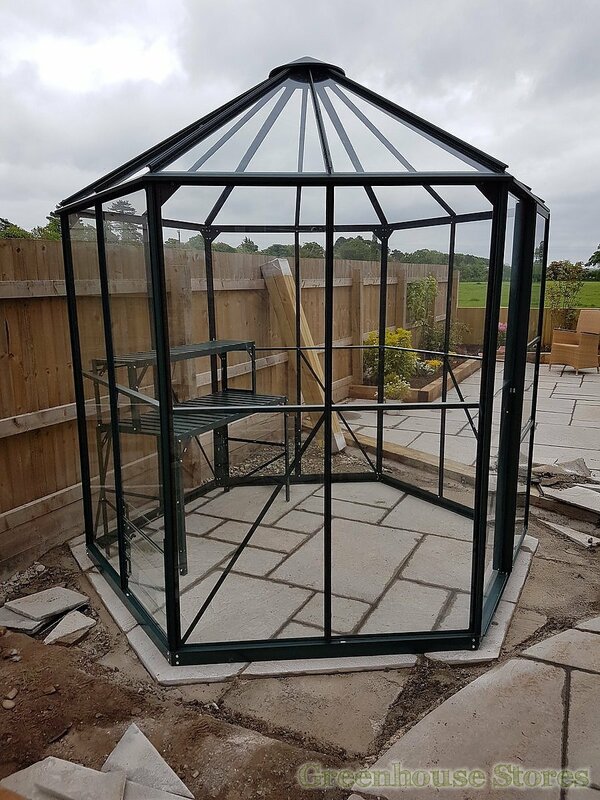 3mm Toughened Safety Glass - Tough and wind resistant. 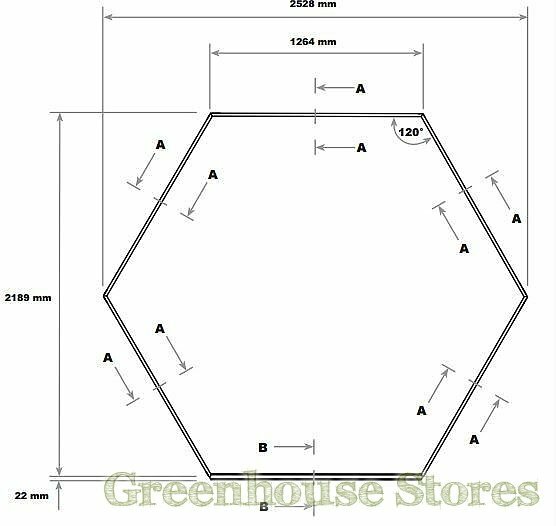 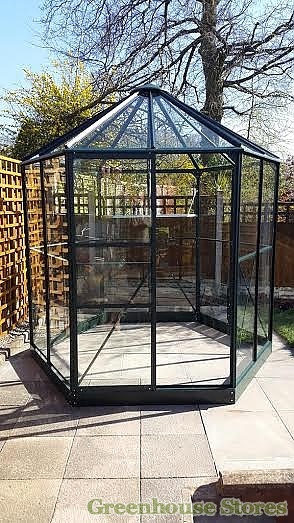 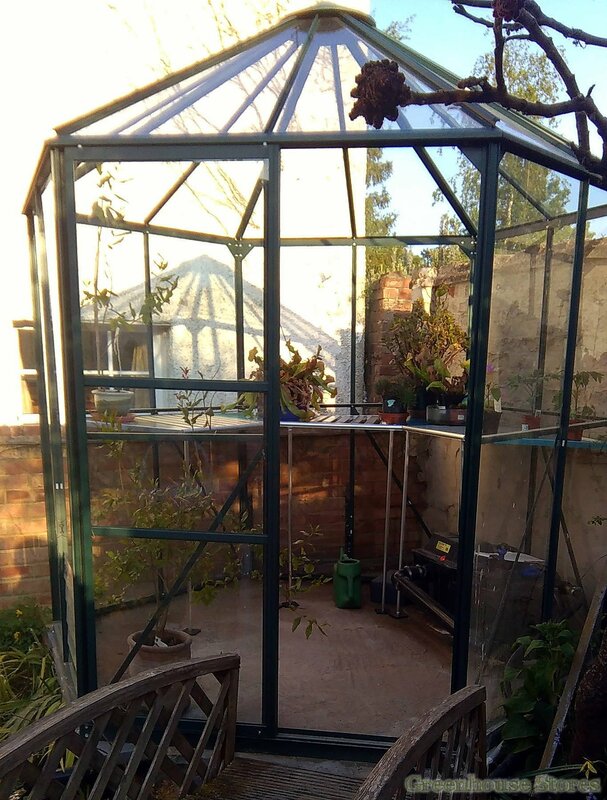 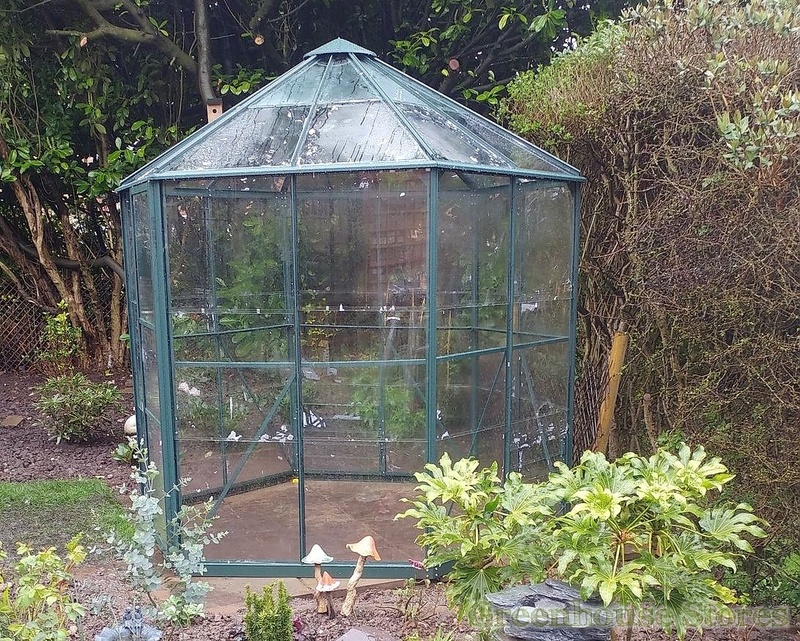 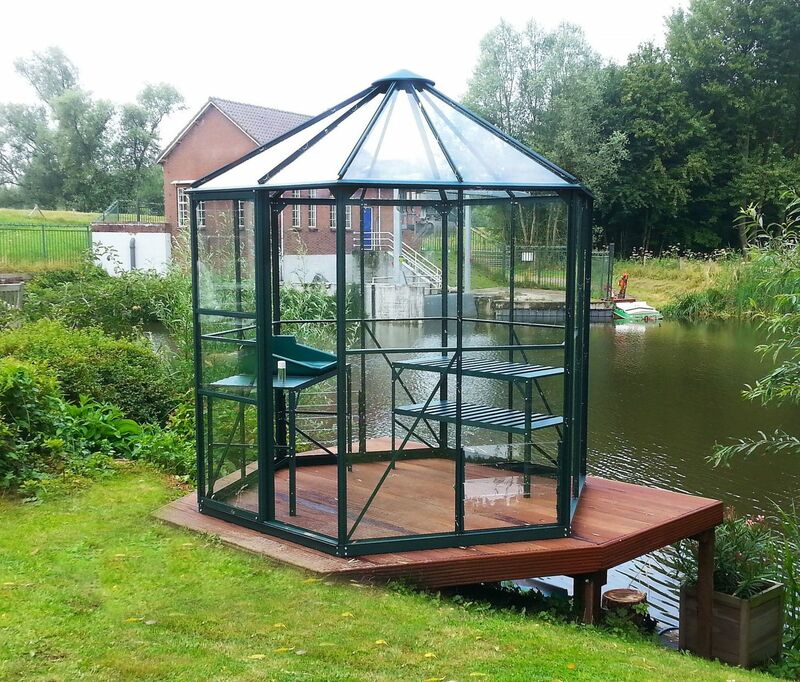 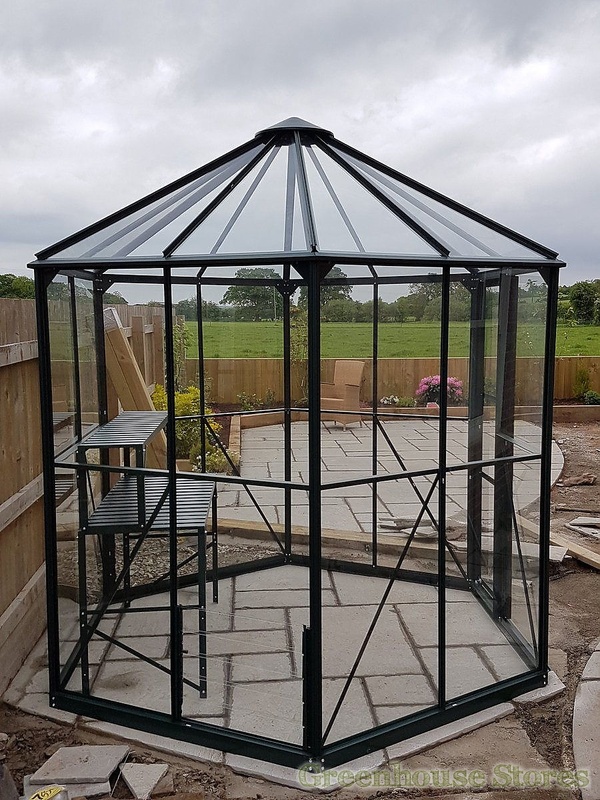 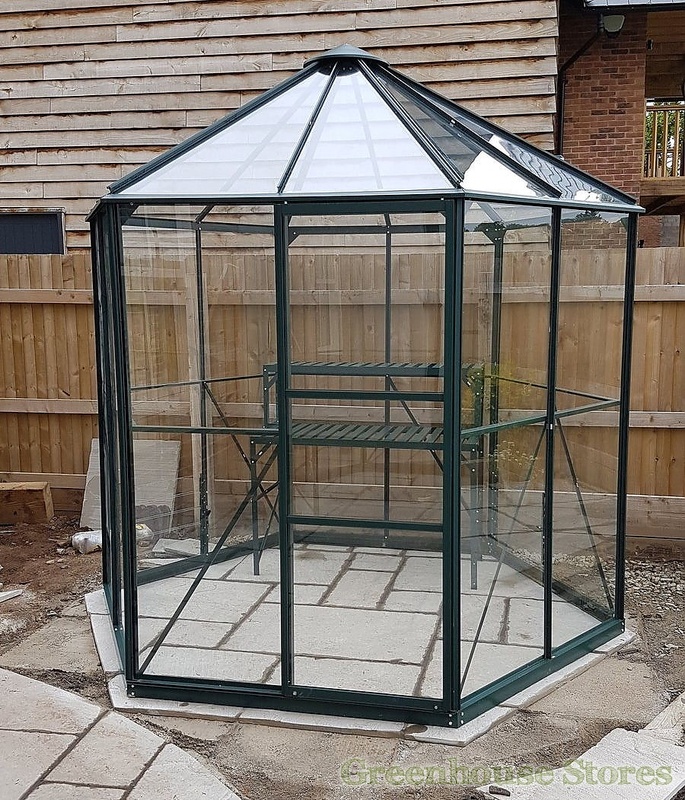 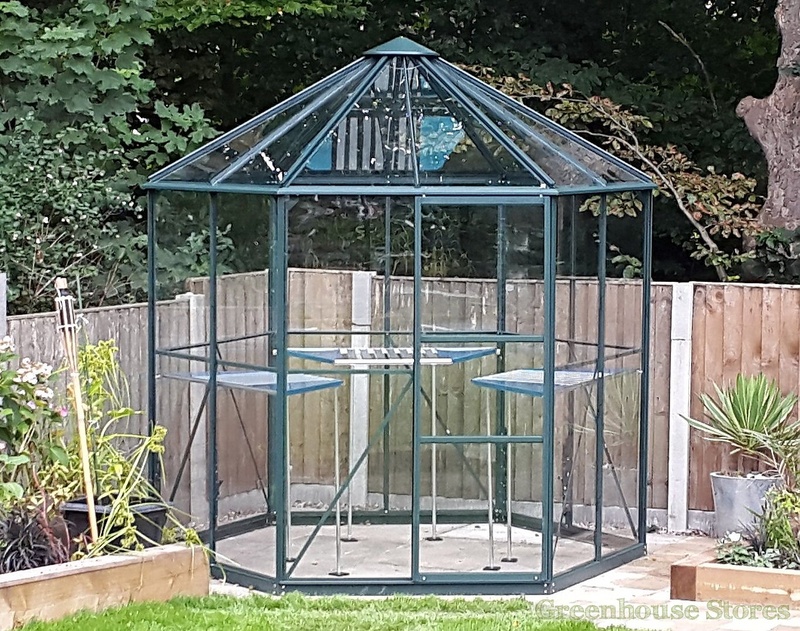 The Vitavia Hera Hexagonal Greenhouse is a spacious and elegant structure with high eaves of 6ft and 4.5m2 of growing space. 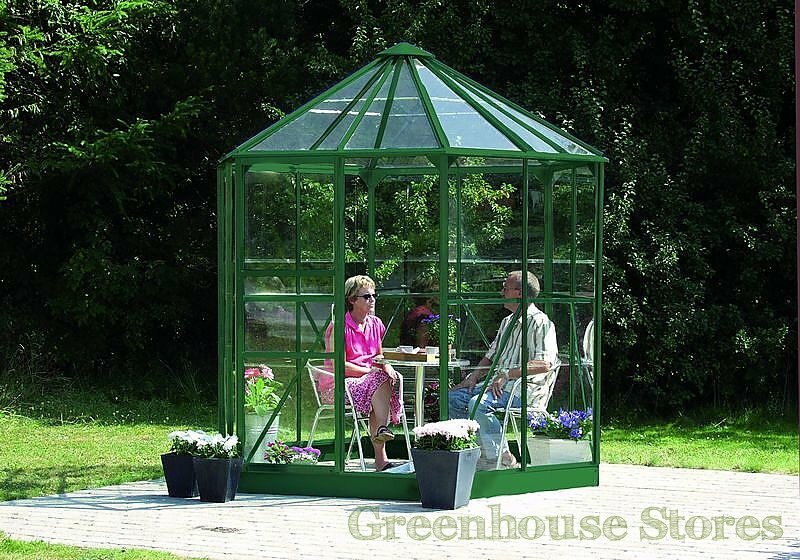 The Vitavia Hera Greenhouse is a superb model that is just as capable being used as a greenhouse or simply a lovely sun room to relax in !